Just Add Ink always throw out great challenges and this week is no exception. We were challenged to create anything we wanted. I am now the proud owner of 100 paper bags, so I thought I had better put them to good use. Those of you coming to my workshop on Saturday will see a couple of paper bag samples, and those attending my Tote Bag class will even get to try out a project with them too. 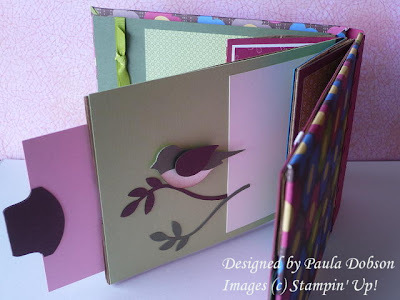 I have seen the most amazing mini albums on my blog travels recently and decided to have a go myself as part of the JAI #11 challenge. I still look at this book and am amazed that I only started with four paper bags! There is plenty of space for photos and journaling as this little beauty also has four hidden pockets to add that extra WOW. 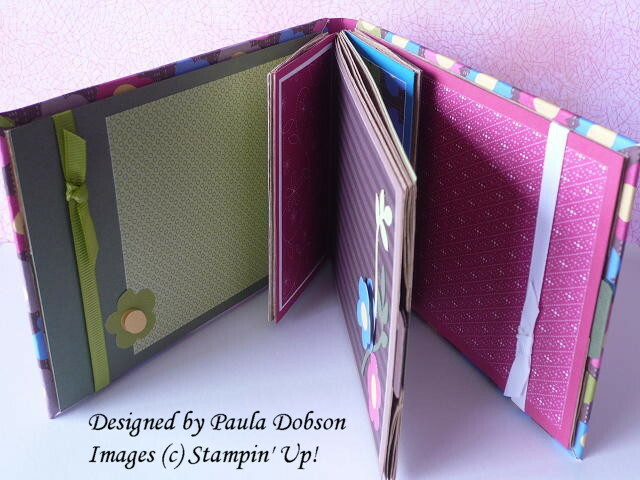 Please leave me a comment and tell me what you think of this nifty little scrap book. I really appreciate any feedback I receive. absolutely stunning Paula! Love what you have done here and especially love the two toned bird. I love it! Thank you for the inspiration - this rocks, Paula! A beautiful creation. Wow ... Paula, this is brilliant .. 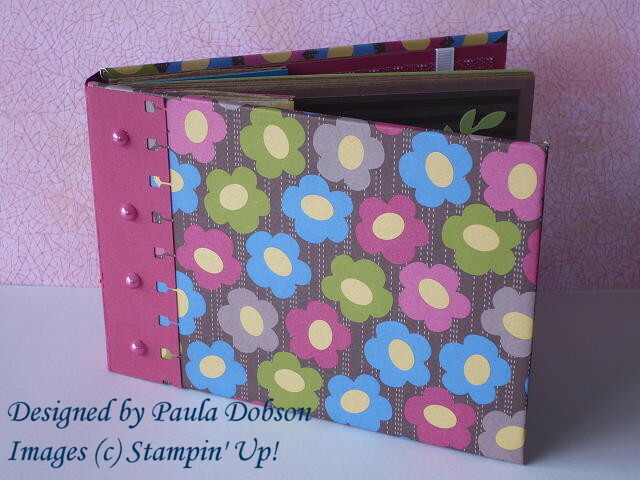 I too have seen the paper bag mini albums on my travels, but nowhere near as lovely as this ... I love your mini album - the perfect size to pop in your bag .... and who would know that it has been created from those brown paper bags!!!! Love it!!!! Gorgeous - especially love the page with the new bird punch! Oh man, I wish I was coming to your workshop! This is fantastic! I'd love to see your version in a tutorial, it's gorgeous! Gorgeous Paula!! Oh, how I would love to be able to come to your class....(sigh). You never fail to disappoint with your amazing creations. Oh, and yes please, a tutorial would be fab!! I so need to get that bird punch. This is so detailed and totally gorgeous in that DSP. Thanks for playing along at JAI. Oh My Goodness. You're so clever Paula! I love this to bits. I hope you will organise an "online" class for us Demonstrators!! ;) Thanks for playing at Just Add Ink! Paula this is absolutely amazing! 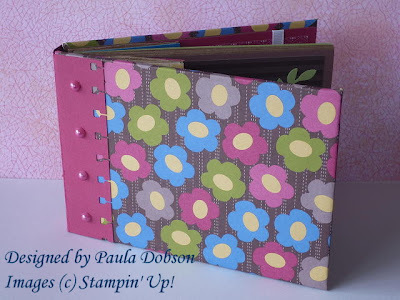 I so love the paperbag albums and ever since I made one for a friend a couple of years ago, have been promising myself to do it again! Maybe the time is right. :-) Thank you for the inspiration.